A thrilling night of great music and song. Experience Frank, Dean, and Sammy as they perform a wonderful mix of song, and comedy sketches. A sensory experience you don't want to miss - the music that inspired and thrilled an entire generation! 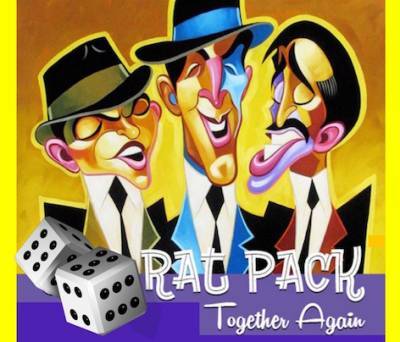 Rat Pack Together Again brings these characters to life and makes them vibrant.